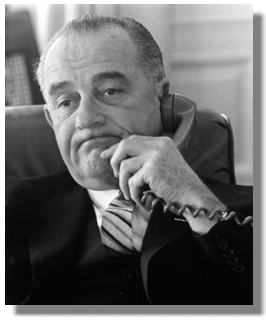 Last week marked the 50th anniversary of President Lyndon Johnson’s declaration of a war on poverty. We kick-off the week with a 2-hour special on how far we have – and haven’t – come in the fight against poverty over the past 50 years. 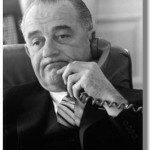 We begin with a look back at the history of the war on poverty and what President Johnson’s declaration really meant. Our panel of guests includes: Dr. Peniel Joseph, author and professor of History at Tufts University, whose books include Waiting ‘Til the Midnight Hour: A Narrative History of Black Power in America; Dr. Annelise Orleck, professor of history at Dartmouth and author of Storming Caesar’s Palace: How Black Mothers Fought Their Own War on Poverty; and Timothy Casey, Senior Staff Attorney and Director of the Women & Poverty Program at Legal Momentum, and author of the report “Too Little Progress,” about the war on poverty. Then we look at how poverty is defined in the 21st Century, with Dr. Michael Reisch, Daniel Thursz Distinguished Professor of Social Justice at the University of Maryland. We host a policy debate on how to address poverty today, with: Imara Jones, economic justice contributor for Colorlines.com; Rachel Sheffield, policy analyst in the Devos Center for Religion and Civil Society at the Heritage Foundation; and and Jeff Singer, Founder and former Executive Director of Healthcare for the Homeless. We close out the show by hearing from low-wage workers and grassroots organizers who are working with people in poverty, who will address the minimum wage, housing, and other issues. Our guests will be: Luis Larin, Leadership Organizer for United Workers; Guetwende Yameogo, a cook at Silver Diner at BWI-Thurgood Marshall Airport; Mike Hachey, Unite Here organizer at BWI/Thurgood Marshall Airport; and Jeff Singer, Founder and former Executive Director of Healthcare for the Homeless.